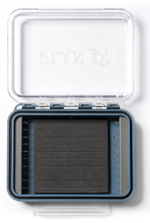 The Plan D Pack Articulated fly box utilizes our patent pending design for storing up to 20 of your favorite articulated fresh or saltwater flies. Simply slide the eye of the fly onto the stainless steel hook and insert the fly�fs hook into the slotted foam. 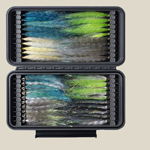 Equally at home in a boat bag or stuffed in the top of your waders, this is the box you need. 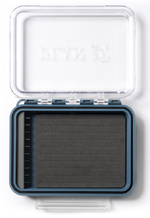 The Plan D Pocket Articulated fly box utilizes our patent pending design for storing up to 8 of your favorite articulated fresh or saltwater flies. Simply slide the eye of the fly onto the stainless steel hook and insert the fly�fs hook into the slotted foam. The Pocket is the little brother to the Pack and the perfect box when you want to travel light. The POCKET Plus has an additional set of hooks for a total of 16. 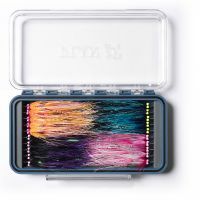 This box is especially great for micro articulated flies such as the new Intruders or Sculpzillas.